It all started so well. Sparkling from a third MX2 title and victory in the final Grand Prix of 2016, Jeffrey Herlings made an astonishing debut on the Red Bull KTM Factory Racing 450 SX-F by winning the MX Open class and almost taking the Netherlands to Motocross of Nations glory at Maggiora last October. 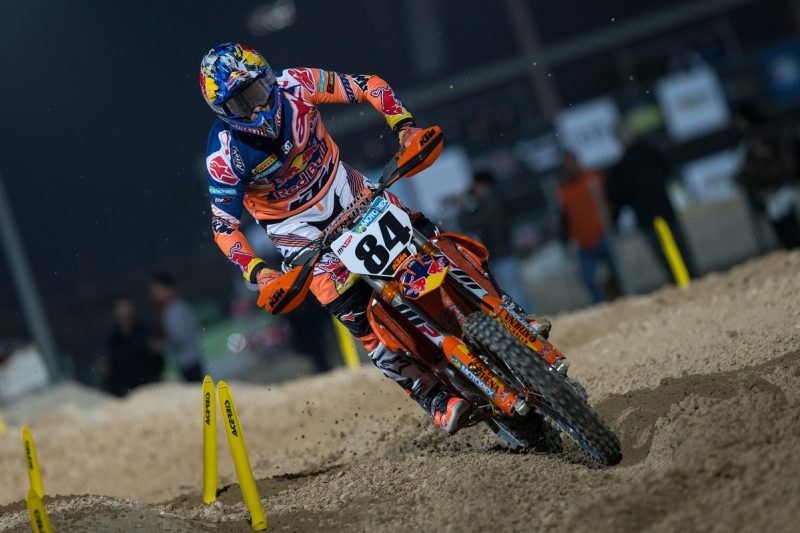 A winter of testing and practicing was only briefly interrupted by a swollen wrist but then a heavy crash at the final round of the Italian Championship at Ottobiano led to a broken right hand and #84 was fighting for fitness prior to the opening round of his MXGP debut in Qatar and the Grand Prix of Indonesia a week later. 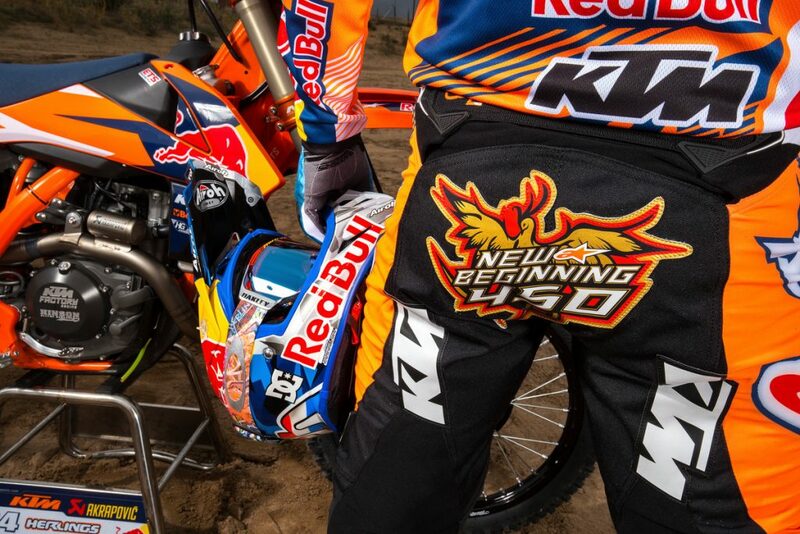 Motocross fans have yet to see the KTM 450 SX-F/Herlings combination in full flight but the prospect is coming fast. In MX2 Herlings was a tour-de-force of speed and results however now he faces an MXGP lineup where the entire top twenty of the current standings have previous experience of what it takes to make a Grand Prix podium. Naturally this process has swallowed much of the team’s work agenda and thoughts from last October onwards. 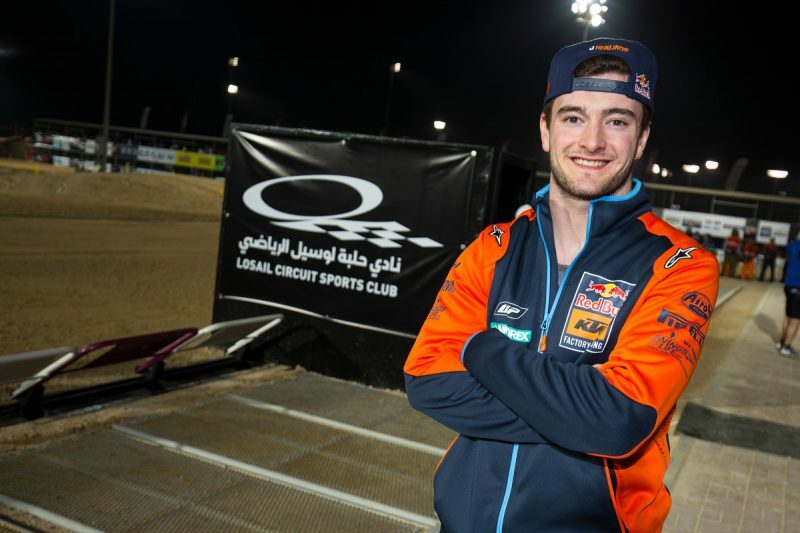 With Herlings operating from his current team setup alongside MX2 riders Pauls Jonass and Jorge Prado (and not in the De Carli side of the awning with Tony Cairoli and countryman Glenn Coldenhoff) his crew also needed to help him adapt. 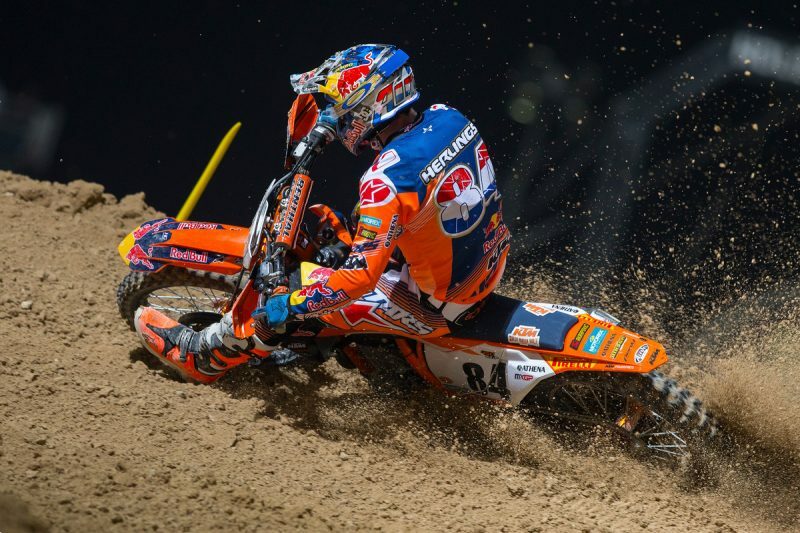 Since his Grand Prix debut as a much-hyped fifteen year old Herlings has faced pressure, expectation and a hot spotlight. In MXGP two ‘rookies’ have earned the number one plate for the last two years but neither Romain Febvre not Tim Gajser tackled the opening events with injury. With over thirty races remaining in 2017 and the utterly unpredictable nature of the sport anything could still happen. One eventuality that almost every MXGP fan would accept is that #84 will sit atop the podium at some point in the next six months.